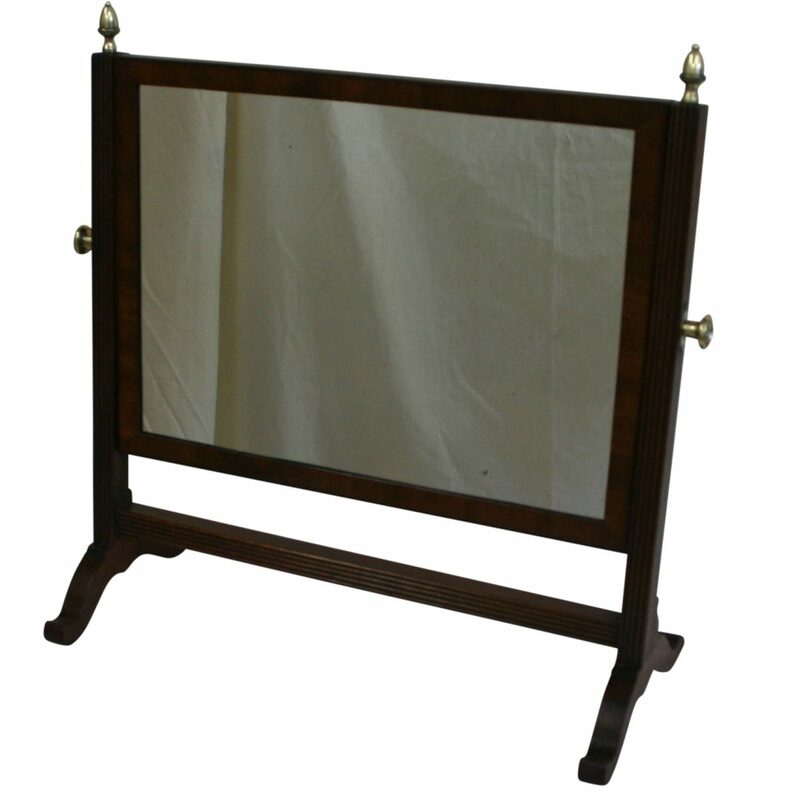 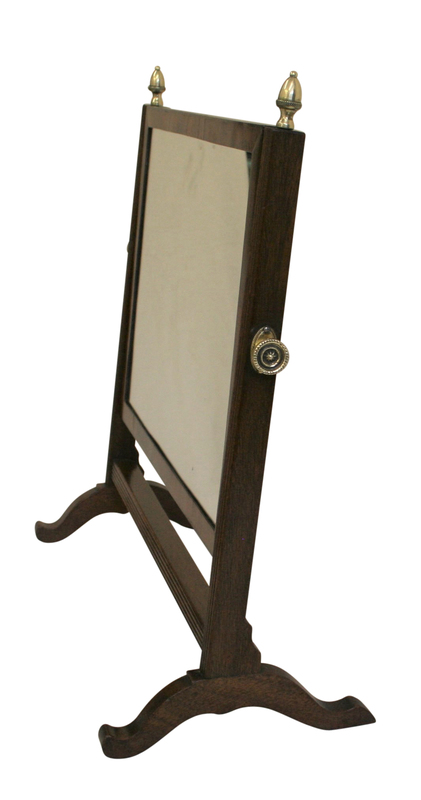 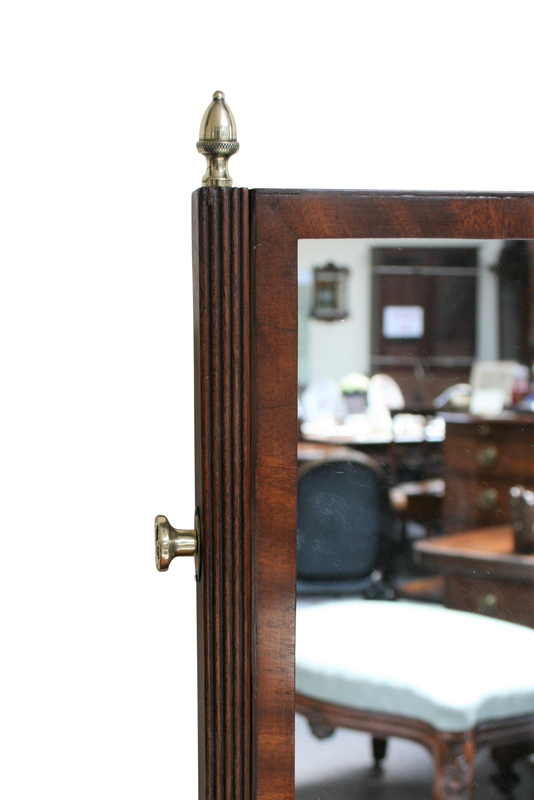 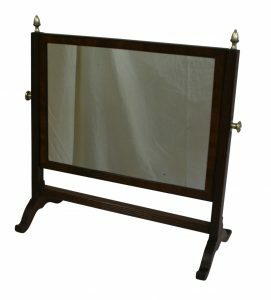 A Regency mahogany rectangular toilet mirror. It has reeded supports and cross bar. It has acorn shaped brass finials and angle adjusting screws to each side. 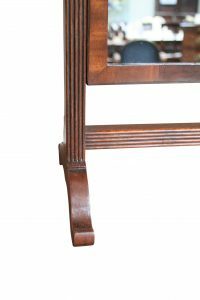 It is raised on splayed feet.